Sometimes being a blogger is hard work. 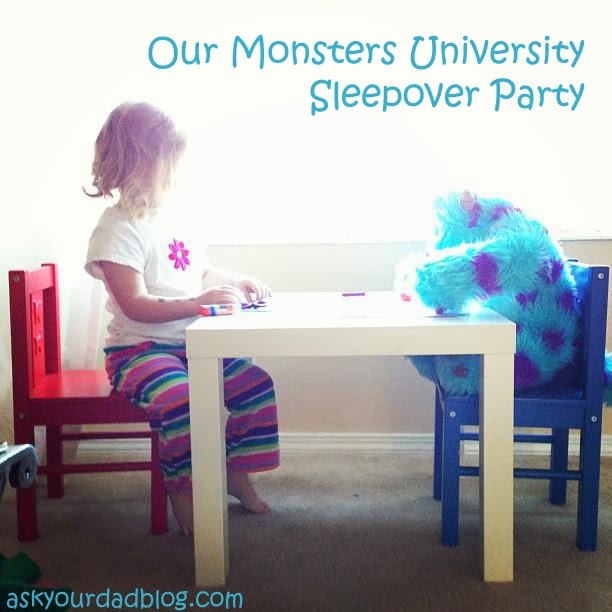 Other times you get a free copy of Monsters University, a giant Stuffed Sully doll, and the opportunity to throw your daughter a fantastic sleepover movie watching party that you otherwise would not have been able to afford. So yeah, blogging has its perks at times. I don't mind. Throw a movie watching party and make a tasty snack. You don't have to ask me twice. Stevie and I headed to Walmart and picked up everything we needed for an awesome party. Not only did we get a Mike Wazowski Disney Infinity figure for Stevie' Disney Infinity game (yes, the only game she plays has cute characters and no blood), we also got the BluRay+DVD combo pack. Which is great because we could watch the high definition version at home, and we now have a copy for the car. Because we're that family. The family in the mini-van that watches movies. But as far as the Duchess knows, the DVD player in the mom-mobile only works when we need to drive really, really far. Duchess is already nuts about the original Monsters Inc, and monsters in general, so we were pretty excited to get the chance to do this for her. And Stevie was excited to throw a party that didn't mean hours and hours spent in the craft room, as per her norm. But that's more of a her problem than a party problem. So we invited Duchess's cousins and one of her very best friends over for pizza, crafts, a special homemade dessert and a movie party. The dessert was my idea! Here's the recipe! 1. 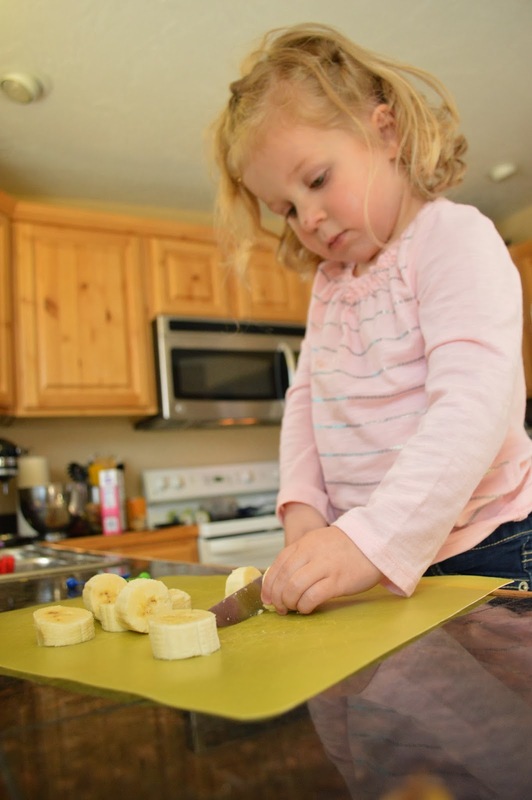 (A few hours before it is time for dessert) Peel and cut the bananas and freeze them. 2. (At desert time - not too early to prevent browning) Cut the apples to look like Monster Fangs. 3. Put frozen bananas in food processor and process, Add small amounts of milk until bananas reach ice cream-like consistency. Add 3-4 drops of blue food coloring. Process until blue. 4. 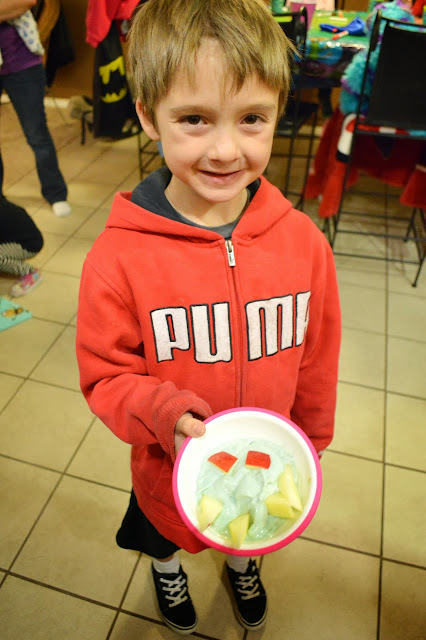 Add apple fangs and maybe some eyes to make a fun, healthy dessert! Note: Afterwards, we had the thought that maybe adding a few blueberries in with the bananas might yield the blue result we were looking for. Hindsight, amiright? This is the part the grown ups do. After dinner it was time for crafts. 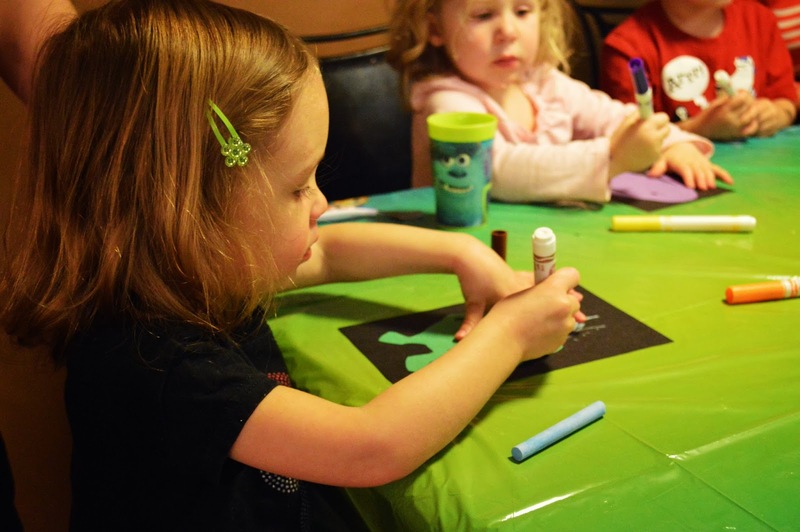 Stevie made some awesome Monster cut outs and each kid got to decorate their own! 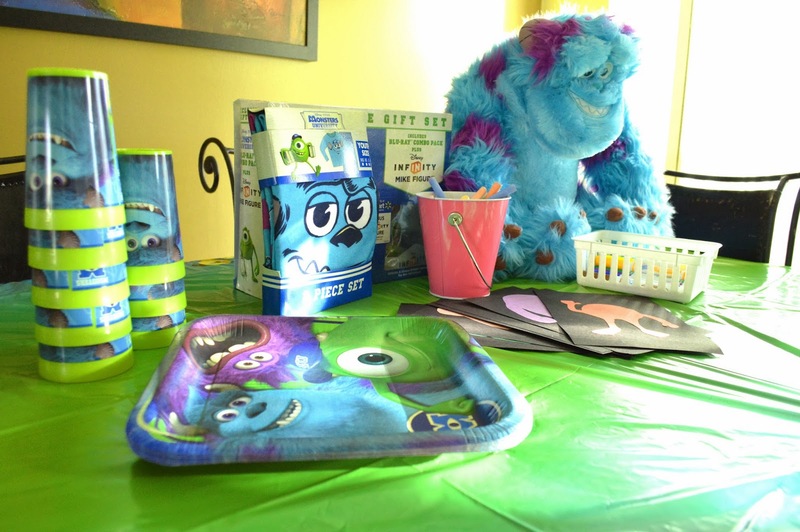 They had markers to draw on the monster's colorful bodies and chalk to draw on the black exterior. Captain did not partake in this part. Chalk and markers are his cup of tea. But for very different reasons; they are delicious. Apparently so is paper. 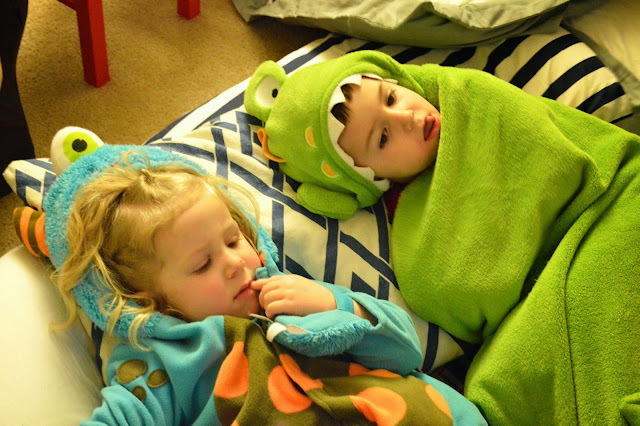 After craft time, everyone got into their monster costumes and it was time to watch Monsters University! We loved the movie. It was fun for Duchess to see all of her favorite characters. She kept pointing at the screen and yelling "Daddy! It's Silly (Sully)! I have a Silly (Sully)! Can Silly (Sully) sleep in my room tonight! Pleeeeaaase!" All in all, the whole party was a blast and I am incredibly grateful for the chance to provide the experience for my daughter. As always, thanks for reading. I try and make these sponsored posts as fun and funny as possible. Sure, they help pay for daycare, but they are also a lot of fun. Which one is by your kiddo? Most significant errors individuals make can be that each texas holdem games are classified as the very same. There is a massive difference involving different texas holdem games that is certainly crucial that you fully grasp. Much more specially; your distinction involving your house sport along with a Gambling establishment sport is vital to know.